Of every 100 people who've had a Microsoft Xbox 360 for at least two years, a staggering 23 of them will have seen their consoles break down already, according to a new study on games hardware reliability. The SquareTrade research shows that 23.7 per cent of Xbox owners have experienced total systems failures, mostly because of the notorious 'red ring of death' issue. By way of comparison, only 10 per cent of Sony PS3 consoles have given up the ghost and just 2.7 per cent of Nintendo Wiis have gone the same way. 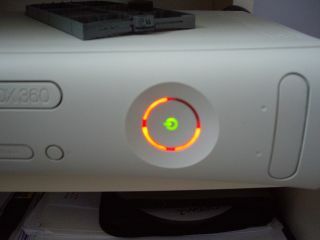 The study shows that 12 per cent of the Xbox 360 failures are due to the red ring of death, while the PS3 had disk issues and both consoles shared output problems. The small failure rate of the market-leading Wii seems to have mostly come from problems with the Wiimote and the power supply.